I've played sports my whole life and I wanted to develop project that relates to that. Hjälm allowed me to create a new platform for safety and create a new sensor for structural integrity. Hjälm monitors the walls of the helmet for breaks and deformation. If the helmet damaged in any way the sensor will trigger an alert so the player can have their helmet safely repaired. Hjälm also allows for concussion detection based off an internal accelerometer. If the readings get to high a player should be evaluated by medical staff. 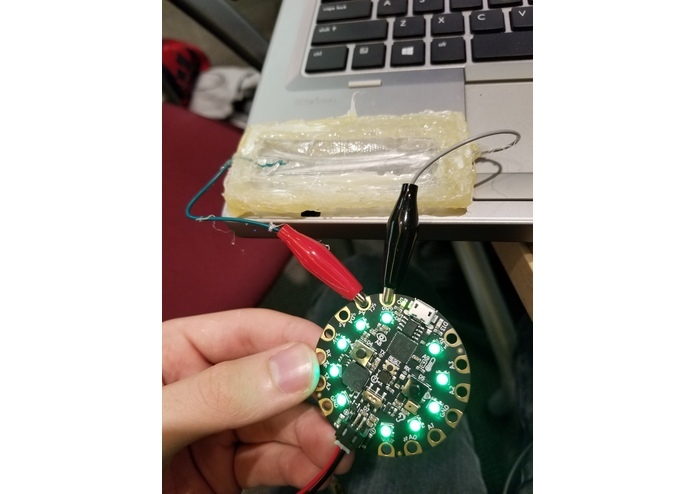 We used a wearable microcontoller and a lipo battery to handle the logic behind it. 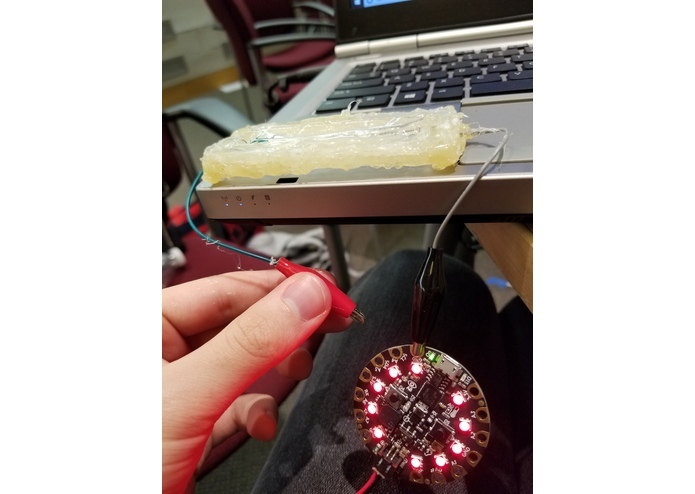 We developed a damage sensor by using a packet of saline solution and some electronic leads to create a circuit that would disconnect when damage occurred. It leaked an incredible amount. I have never had more salt on my hands in my life than I did this weekend. I damaged the microcontroller doing some testing and it was a pain to fix. It works. It was fun to develop. The new sensor only leaks a little. I learned what a pullup resistor is and I learned how to not burn myself with hot glue.